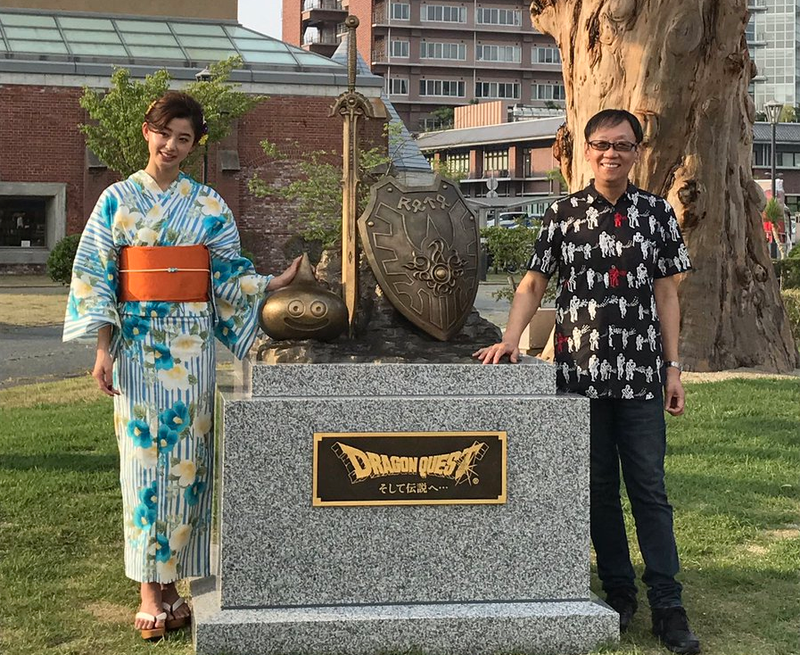 To mark Dragon Quest’s 30th anniversary, a DQ statue has been erected in Sumoto, Japan. Located on Awaji Island, Sumoto is famous for its oranges, onions and beef. It’s also the birthplace of Dragon Quest creator Yuji Horii. Given how popular as Dragon Quest is in Japan, it’s surprising that a monument didn’t go up sooner! The statue isn’t a simple DQ depiction. According to The Asahi News, Horii said that Slime was for luck, the shield was protection from calamity, and the sword was to cut down evil fate. Square Enix is hoping fans will make the pilgrimage out to Awaji Island. Add it to the list of things to do on the island.